If safety and style are at the top of your list when it comes to buying a family estate car, we don’t think you need to look much further than the Volvo V60. Smooth and quiet to drive, it packs in some very advanced safety technology, is roomy and spacious, and feels like a quality item. As premium estates go, it’s hard to beat, even if it’s a wee bit pricey. The best engine of the bunch, plus some fancy extra equipment that you may not need, but you’ll definitely want. Official CO2 emissions under 50g/km, but you probably won’t be able to match that economy in real life. Fast, but very thirsty and expensive to buy and run.  Interested in buying a Volvo V60? The V60 takes the styling of the larger Volvo V90 model and, essentially, shrinks it down without changing much. 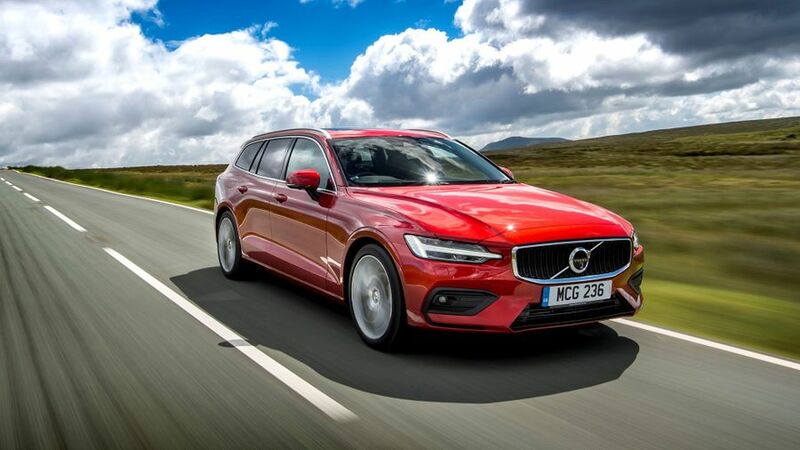 Overall, the V60’s visual appeal will depend on how much you do or don’t like estates, but within its class, we reckon it’s one of the most stylish models. There are three basic trims – Momentum, R-Design and Inscription – and all of them are also available as Pro versions with extra kit, meaning there’s essentially six trim levels to choose from. There’s also the Cross Country version, which has raised suspension to cope with mild off-roading, and you can read a full review of that here. All models get LED headlights, electric boot lid and rear parking sensors, as well as alloy wheels. The entry-level Momentum rides on 17-inch wheels (or 18s on T5 models), while the Momentum Pro adds front LED foglights. The R-Design model has a sportier look and 18-inch wheels, as well as slightly lowered suspension, and the R-Design Pro adds 19-inch wheels, tinted windows and cleverer headlights that move to better light the way through corners. The Inscription trim has 18-inch wheels and extra chrome around the windows, while Inscription Pro features 19-inch wheels and front foglights that also cast extra light when cornering. The V60 uses the same all-digital instruments (a 12.3-inch digital dashboard screen, which is standard across the range) and the same 9.0-inch portrait-style touch-screen, which looks very much like an iPad, as used by other Volvo models. As you’d expect from a Swedish car, everything is laid out rationally and, despite the initial complexity of the big touchscreen, it’s not a difficult cabin to find your way around. Using the touchscreen soon becomes second nature, especially if you’re used to a smartphone or tablet (although there’s no denying it can be a distraction from the road at times) and the physical switches and buttons are easy to find and feel solid. Of course, if you’re buying a Volvo estate then practicality will be on your mind: it’s the whole point of the car’s existence, after all. The good news is that Volvo has given the V60 a very good boot. At 529 litres with the rear seats up, it’s only 30 litres short of the space on offer in the larger V90. The V60’s boot can be divided and partitioned using small pop-up floor panels, but it’s not as genuinely flexible as the adjustable boot floor you get in Volvo’s XC40 small SUV. It’s also a shame the tailgate glass doesn’t open separately to the rest of the hatch, like it does in some rivals, but you do get a powered tailgate as standard. In the back seats, there is plenty of legroom and headroom for three adults, and there are helpful touches for families such as electronic child locks. There are also plenty of cubby holes, cupholders and door pockets for keeping odds and ends. If you had to pick one word to describe the way the V60 drives, it would be ‘soothing’. Everything about the car is angled towards keeping its occupants safe and unruffled, which is just as it should be in a relatively luxurious family estate. What it does very well is to swish you from point to point without you really noticing the parts in between. The suspension can occasionally be caught out by big bumps, though, which can send a whump through the cabin, but by and large, this is a comfortable car. And on the motorway, the V60 is absolutely at home. On a long stretch of main road, the loudest sound we could hear was a metal coffee cup clinking against the edges of the cupholder. On the handling front, the steering feels a little slow in tighter corners, and on very twisty roads, you need to let the car settle when changing direction. However, the V60 always feels secure and stable. Yes, competitors such as the BMW 3 Series deliver a more involving driving experience, but for many buyers, that won’t matter a jot. Initially, the V60 is available with a choice of two 2.0-litre diesel engines – the 150 horsepower D3 and the 190 horsepower D4 – and a 2.0-litre T5 petrol with 250 horsepower. We haven’t had a shot in the T5 yet, but have tried the diesel. The D3 will be fine for most buyers, provided they’re not in too much of a hurry. It impresses with how quiet and smooth it is, and it’s capable of decent pace if you keep the revs on the boil, but let them drop too low and your pick-up can feel a wee bit flat. The D4 feels a good bit perkier for more of the time, and is just as civilised, so that’s the one we’d recommend. Both diesels come with a six-speed manual as standard, but we’ve only tried them with the optional eight-speed automatic gearbox so far. It slushes through the gears smoothly enough, but it could respond quicker to requests for sudden bursts of acceleration. The T5, meanwhile, has the auto as standard. The V60 isn’t quite as expensive to buy as rivals from Audi, BMW and Mercedes, but it still isn’t a cheap car, and going Swedish rather than German might not save you quite as much as you think. Official fuel economy for the D4 diesel hovers at around the 61mpg mark, but that does vary depending on which tyres and wheels you fit. If you choose the biggest wheels, you’ll add to the CO2 emissions figure and could bump the car into the next tax bracket. Fitting the eight-speed automatic gearbox only adds 2-3g/km, though. The D4’s fuel economy and emissions figures are so close to those of the cheaper D3 engine, that you may as well upgrade to the more powerful engine, provided you can afford to pay the extra it costs to buy. Most importantly, though, the diesels’ efficiency figures are very competitive when compared with those of rivals. The T5 will cost you a good bit more to run, only just beating the 40mpg mark according to official figures, and you’ll get much less than that if you regularly make use of its prodigious power. Happily, the V60 also looks to do a very solid job on residual values, which means you’ll get a good slice of your initial outlay back when you sell the car on. There’s also Pilot Assist, which (as Volvo is at pains to point out) is not an autonomous driving system (you can’t sit back and read the paper), but a clever cruise control and steering setup that helps keep you in your lane and controls the car’s speed. You still have to pay attention, and keep your hands on the wheel, but it definitely reduces driver fatigue on long motorway journeys, and Volvo has updated the system so that its lane-keeping steering action is a little smoother and less jerky than in previous models. The car hasn’t yet been crash tested by Euro NCAP, but we’d be staggered if it didn’t score the full five stars; it’d be the first Volvo since 2001 that didn’t. There are six trim levels for the V60 — Momentum, Momentum Pro, Inscription, Inscription Pro, the sporty-looking R-Design and – you guessed it – R-Design Pro. Standard equipment is very good and includes LED headlights with an active high-beam function (which automatically dips the lights if it spots other traffic on the road), 17-inch alloy wheels, two-zone climate control, the 12.3-inch TFT screen digital instruments, the big 9.0-inch touch-screen in the centre of the dash, satellite-navigation, DAB radio and Bluetooth, a built-in internet connection and a broad array of safety and driver aids. Those include the ‘City Safety’ automatic brakes, the head-on collision mitigation system, cruise control, a speed limiter and a road sign recognition camera. The various trims pile on more and more luxurious touches, but the base-level Momentum car has all you really need, although we’d understand you wanting to make the upgrade to Momentum Pro for its heated leather seats. Volvos have always offered safety and practicality, and the V60 continues that fine tradition, while adding a healthy dose of style. You’ll buy one if you fancy a posh, premium-feeling car that’s exceptionally safe, very smooth and relaxing to drive, and which has sufficient space for your family to get comfy.